5 George Washington Silver Half Dollars. 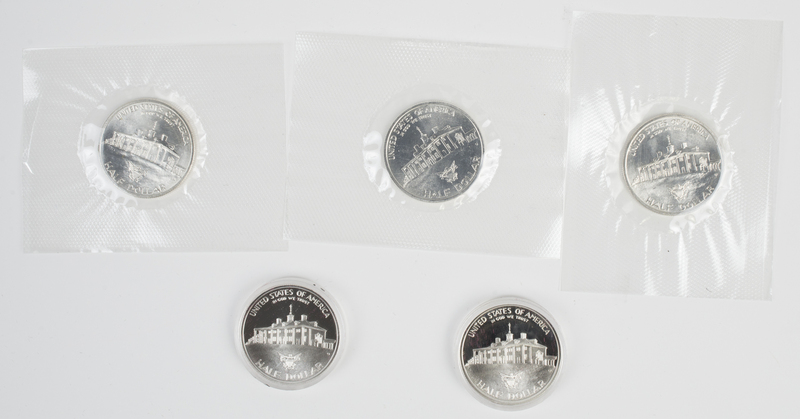 Coins are all uncirculated and dated 1982. 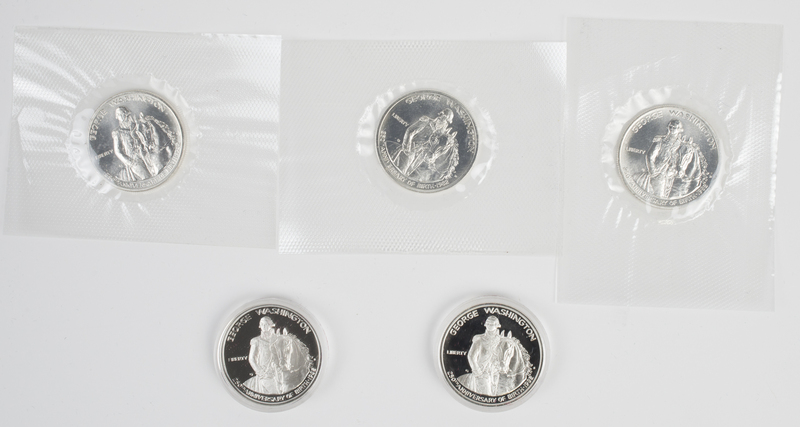 Each coin is 90% silver with .3617 troy oz of silver composition. Three of the coins are from the Denver mint and two are proof coins with the San Francisco mint mark.